We are major excited to be making history in Williamsburg County – as we are the first theatre company to have students from all high schools in our county involved in our production – PLUS – we are inviting between 30-70 students to watch the “BEHIND THE SCENES” of filming Beautiful Minds. (SEE VIDEO BELOW) Students will see and learn first hand the role of directors, camera operators,..
Don’t chase money and perfection as it’s a loser’s game. You will never win at it, trust me I know. Been there, done that, and failed many times. I have had so many unsuccessful shows because I was chasing money; the dollar – dollar bill y’all. 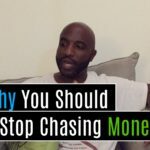 Things changed drastically for me when I realized this one important thing about chasing money and chasing perfection. Listen to my VLOG below..
Purchase your tickets online or at the door for the show. When you purchase online, you’re guaranteed a seat. READ Frequent Asked QUESTIONS below: Powered by Eventbrite What will happen to the Hannas now – if you thought part 1 to Rise Up was jaw dropping, wait till you see the sequel. Seating is LIMITED. FAQs 1. 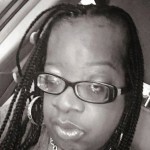 What are my transport/parking options getting to the..
Latrea Wyche Latrea Wyche went from foster home to foster home, from having parents who abused drugs, to being ridiculed and to having 40 different surgical procedures. 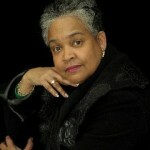 In our interview, Latrea Wyche, reveals how she managed to find success as an author and life coach! What’s Your Take On This Blog Post? Comment below and share it! 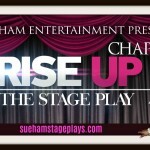 This article was written by Sulondia “Sue-Ham” Hammond of Sue-Ham Ent Check out Sue-Ham’s Stage Plays.. In this episode of the Sue-Ham Show, I get the chance to sit and speak with Becky Dewitt about her journey from substance abuse to penning several children’s books and speaking and ministering. Simply listen below as Becky inspires us to live beyond our problems! Becky Dewitt Interview: What’s Your Take On This Blog Post? Comment below and share it! This article was written by Sulondia “Sue-Ham”..
Natasha Weston Gives Us the 411 on Branding: Do you really know what branding is? Have you taken a moment to consider that you, the individual are a brand as well as your business. 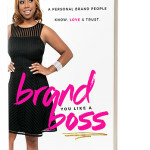 Today I am speaking with Branding Expert, Natasha “Tottie” Weston, about the myths and facts concerning your personal brand. 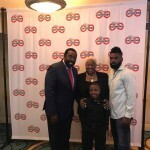 She reveals what matters most when it comes to branding, tips to make your brand well known, and..
Les Brown shared his motivation and knowledge in McAllen Texas at the Success Unlimited Event, spearheaded by Chis’mere Mallard. 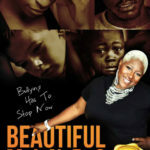 The event had an all star line up with Sulondia “Sue-Ham” Hammond as the only female speaker in the line up with Dr. Ruben West, Terrance Leftridge, and Milton Gonzales. Below is a vlog compilation of my trip. 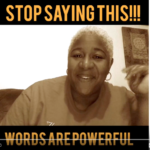 Press Play and Enjoy~ Les Brown has a Special Message: ..
Otiti Wright shares in this intimate interview her ups and downs and how she was able to endure the extreme to emerge a winner. In our interview, I get up close and personal with Otiti, to reveal the keys to making it out of the valley experience. 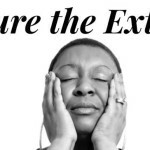 Endure The Extreme: What’s Your Take On This Blog Post? Comment below and share it! This article was written by Sulondia..